Hiretech floor sander abrasives are a high quality range of silicon carbide and aluminium oxide, resin bonded, coated abrasives designed for optimal performance with all Hiretech floor sanders. Made from a combination of the finest materials performance is guaranteed, with excellent wear characteristics, consistent stock removal and fine score free sanding across all floor types. Designed for floor sanding, the specification of each type and grit has been carefully tested and proven on a wide range of floor types of variable condition. Accurately die-cut to ensure a perfect fit, the recommended range of grits provide the ideal combination of performance, fast stock removal and fine score free sanding. 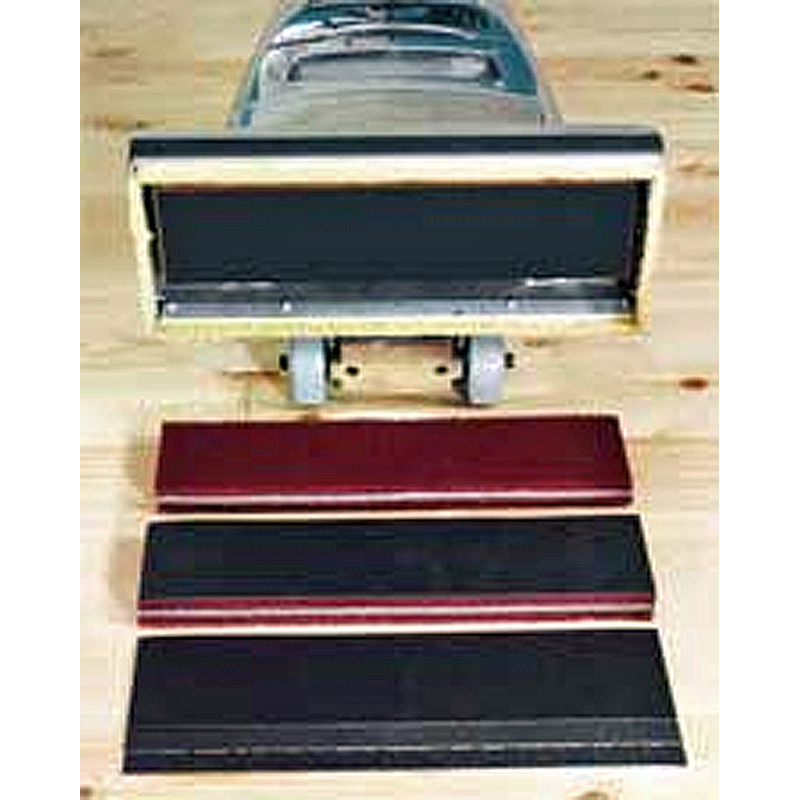 The HTF Abrasive line is an innovative sanding and re-finishing system designed for the HTF Orbital Floor Sander. Suitable for all types of wood floors, including the sanding and refinishing of fine parquet and laminate flooring systems.The abrasive pad, used as a backing pad to a range of self adhesive abrasive papers and as a P280 abrasive, features a foam core which prevents the pad going flat. By retaining its flexibility the abrasive pad follows the contours of the floor without cutting through high spots to new wood. If new wood is exposed the whole floor must be cut back before refinishing. Use grits P120 to P280 grits for screen and recoat, P80 for fast removal of old surface coatings and P40 to P60 grits for the levelling of joints and fast stock removal.All Hiretech abrasives are packed in high quality cartons to keep the abrasives in perfect condition and to provide a merchandising container where needed. Clear labelling identifies each type and grit for easy selection and stock management.